The AGM of the Giulietta Register Club was held on 10 April 2016 in the old classroom at Wroxall Abbey, Warwickshire. In a previous life in another time, the AGM of the organisation which I was paid to administer was considered a legal nuisance to be executed as quickly as possible. It was achieved in just six minutes one year leaving members wondering why they had bothered to come at all. Not so the Giulietta Register AGM. Indeed, many members had gathered the previous evening for dinner together in the Abbey’s fine Dining Room and spent the night at the Hotel. An early morning hood-down drive through the delightful local country lanes reinvigorated the party after any excesses for the night before. Attempts at precision parking in the courtyard were soon abandoned as more and more cars arrived. As always it was great see so many friends again after the winter months to learn who had done what to their cars, or who had sold or bought again. There was the usual inspection of each other’s cars and gentle interrogation of happenings and health since our last get together on the North Yorkshire Moors last year. 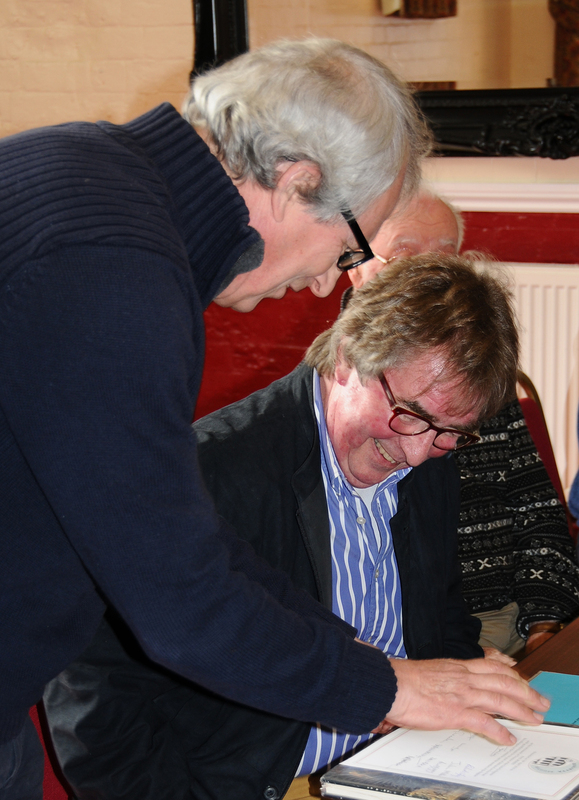 Then we were mustered inside and called to order by the Chairman, Richard Wigley. 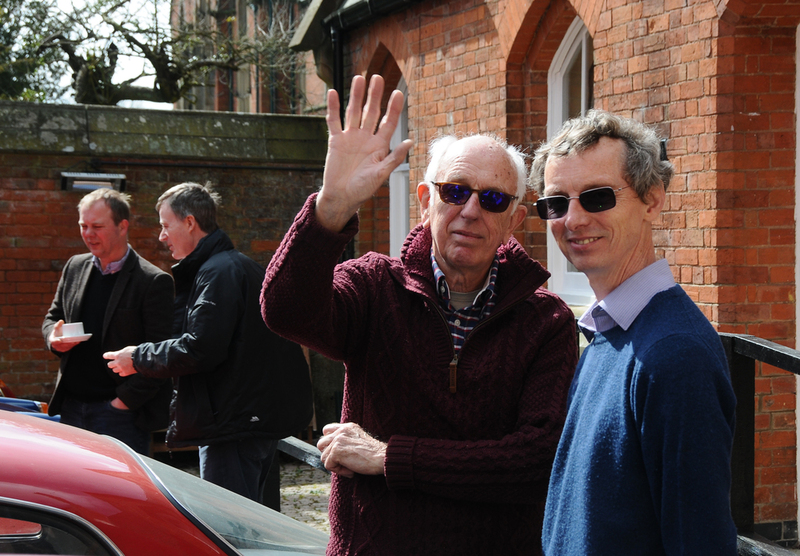 Richard was pleased to report that 2015 was another successful year for the Giulietta Register. Although membership numbers had held up well, revenue was down slightly but due to good control of the ever increasing costs of the production of the Giuliettaletta and running of events, the Club finished the year with a small surplus and an increase in reserves. He reminded Members that Paul Morris was retiring as the Register’s Treasurer and as a director of the company at this AGM. Richard thanked Paul on behalf of all members. “Paul leaves the club in excellent financial health after 10 years’ hard labour on our behalf, and has been a huge support to me and previous chairmen, not only by managing our finances so professionally, but also by providing wise advice on how we should manage our business affairs generally, not least in leading the club through the process of changing from a members-owned club to a private limited company.” The Chairman presented Paul with a book on motor racing and a bottle of champagne. In reply Paul spoke briefly and eloquently, wryly recounting some amusing episodes and observing that, unlike when he became Treasurer, on his retirement from the role the cars are looking in much better shape than most of their owners. The Chairman was pleased to confirm that Paul intends to remain a member and all Members looked forward to seeing him and Sheila at future events. The meeting unanimously appointed Stephanie McLellan as the new Treasurer and a Director of the Giulietta Register Club Ltd. Stephanie is very well qualified for this role and she and Julian are passionate supporters of the Register. Turning to the Giuliettaletta, The Chairman said the Editor, Don Maclean, did an excellent job in producing a high quality magazine on time through the year. He was helped greatly in this by the Members, “submitting a high flow of interesting articles for us to consider to the point that we have had to increase the size of the magazine from our normal 36 pages to 40 pages in the last two issues.” Richard exhorted Members to keep this up, stating that it was particularly encouraging to see an increasing proportion of articles coming from overseas Members. Membership Secretary, Peter Yaxley, elaborated on the membership numbers which had reduced from 415 in 2014 to 407 in 2015. Membership to date for 2016 was around the same levels of the previous year. This year the 40% of Members were in the UK and 22% in the USA. The Netherlands and France accounted for a significant proportion of the rest, but there were Members in many countries across the world. The most effective and least cost method for Members to renew was still considered to be by PayPal via the Register website, despite a difficulty and prohibitive charges for setting up standing orders. It was agreed that Peter would email all Members who had not yet renewed inviting them to do so. Don MacLean, Editor of the Giuliettaletta, thanked all Members for the excellent articles and photographs submitted for publication during the past year. He reiterated the Chairman’s plea for more such articles and, in particular, interesting high resolution photos for the cover which should be in portrait format. 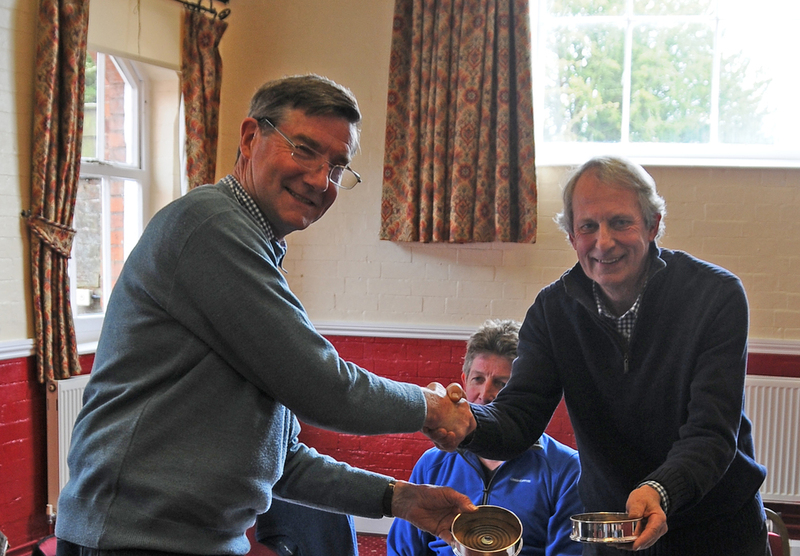 Don presented the Elsie Smith Trophy for the best contribution to the Giuliettaletta to Geoffrey Cotton, in Australia, for his outstanding and thoroughly researched series of articles “Carchaeology” about Ruddspeed Sprint conversions. Paul’s words of acceptance were read to the meeting. He will receive a presentation scale model of a Sprint, as the Trophy itself (a Veloce brake drum mounted on a plinth) is too heavy to despatch to the antipodes (and perhaps too tempting as a spare!). Congratulations to Geoffrey. Tony Ives, Events Secretary, outlined the programme for 2016, starting with the Classics at the Castle on 17 July at Sherborne Castle in Dorset. The Register has been allocated space for 20 cars. Members. Cost was £10 per car and registration and payment could be made through the Register website or direct to Tony. The Autumn tour will be to Snowdonia in North Wales, staying the nights of 14 and 15 October at the Bryn Howell Hotel, overlooking the Llangollen Canal. Registration and booking details are on the Register website. Richard Hampton reminded the meeting that the European tour, from 11 to 21 June, is to be a drive through France to the Pyrenees and returning to UK by ferry from Santander in Spain. Arrangements were well advanced and some 13 cars were already booked for the event, including Members from The Netherlands, France, USA and New Zealand. Peter Bradnock, website editor, reported that the number of visits to the Register website in the 12 months ended April 2016, was 11,416 or an average of 928 per month. Page views averaged 2,982 per month and the average monthly audience size (i.e. unique visitors) was 755. Statistics for earlier years have not been kept. Peter said the figures confirmed that the website could be an effective vehicle for selling and sourcing cars and parts. He urged Members to take advantage of the free advertising available on the website to list their surplus parts. The Chairman introduced David Roberts, whose offer to take on the role of archivist for the Register was well received and gratefully accepted. David was co-opted onto the Committee. The Chairman reported on recent discussions on the scope and future development of an archive electronic database accessible by all Members. The initial idea that this could be a secure Members-only part of the existing Register website, was dropped because the host software does not support the necessary file formats. Advice from an archivist has been canvassed and a specialist company which could scan the material and build and host the database has been approached. Indicative costings appear affordable and more detailed discussions are to be held. Lastly, just before we all moved to the elegant hotel dining room for a most agreeable lunch, the Chairman, Richard Wigley, presented the Chairman’s Cup (in fact two engraved silver wine coasters) to a bemused Peter Bradnock for his work on the website and for “generally being an all-round good bloke” in support of the Register. This was a well-attended meeting with a high quality of Members’ contributions to the full and lively discussion on current and proposed new activities intended to enhance the benefits of membership.